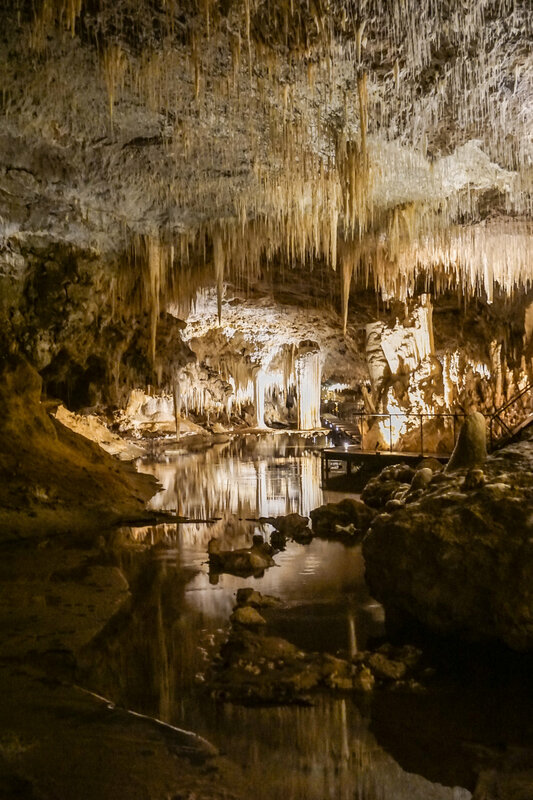 The region of Margaret River is incredible both above ground and underground. 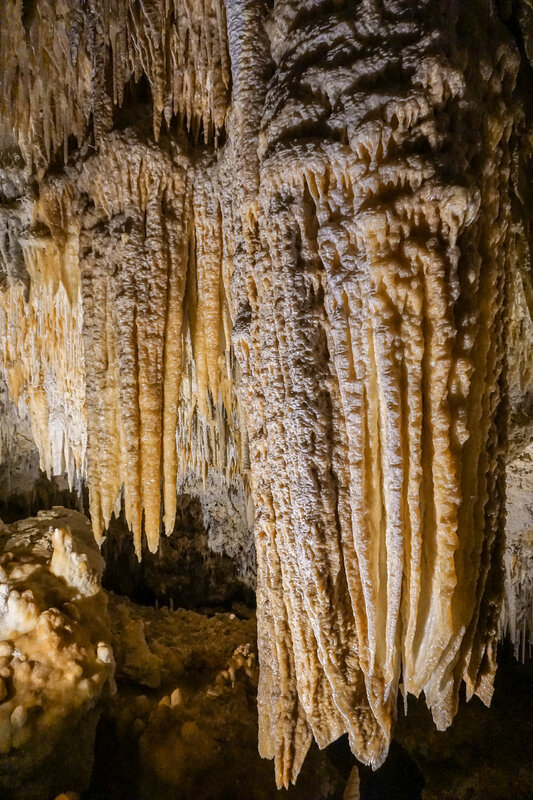 Between West Busselton and Augusta there are over 100 known caves which have been formed over the last 1 million years by the constant movement of water through limestone. However, only 6 caves are open to the public because many are still used by indigenous people as a sacred place. Each cave is different with its own unique natural formations so I would suggest visiting two or three caves (the 3 cave pass costs AU$54). It takes around 45-60 mins to visit each of the caves listed below and each visit is organised in a guided group tour. 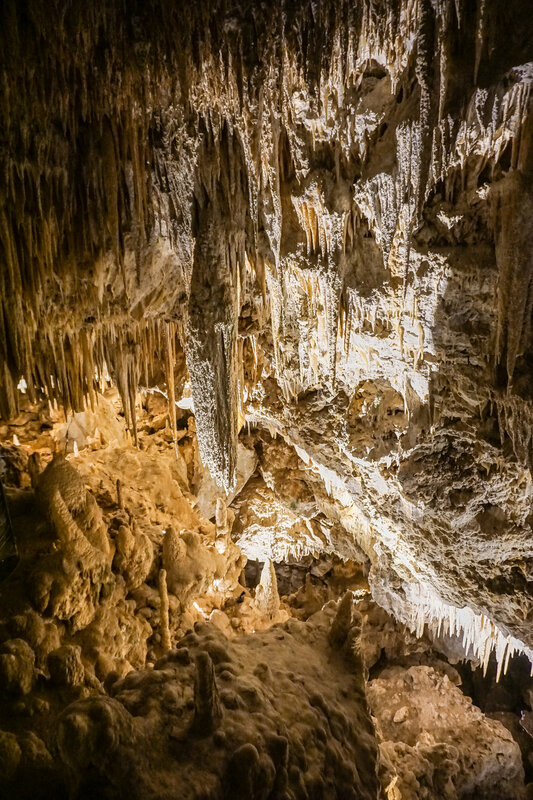 This cave was actually Western Australia's first tourist attraction. The cave was formed 1 million years ago when the river use to flow and the aboriginals used to drink water at the the end of the river by the ocean. There’s a 12 meter drop to reach the cave (stair access) and the deepest point goes down 37m - known as Cupids Corner. Did you know that it takes around 100 years for the crystals to grow?? The calcite crystals growing inside from the ceiling are spectacular and you will see them clearer as you go further through the cave. This cave is 62m below surface and it used to be a giant cavern. The yellow white cave crystals are really pristine. It’s only 80m long but it's the only cave with water all year round which makes it unique to the region. The water comes from an underground stream and it takes 10-15 years for the water to move inside the cave which is why it’s called Lake Cave. You'll will also get to see the one and only amazing "Suspended Table" formation which weighs several tonnes! 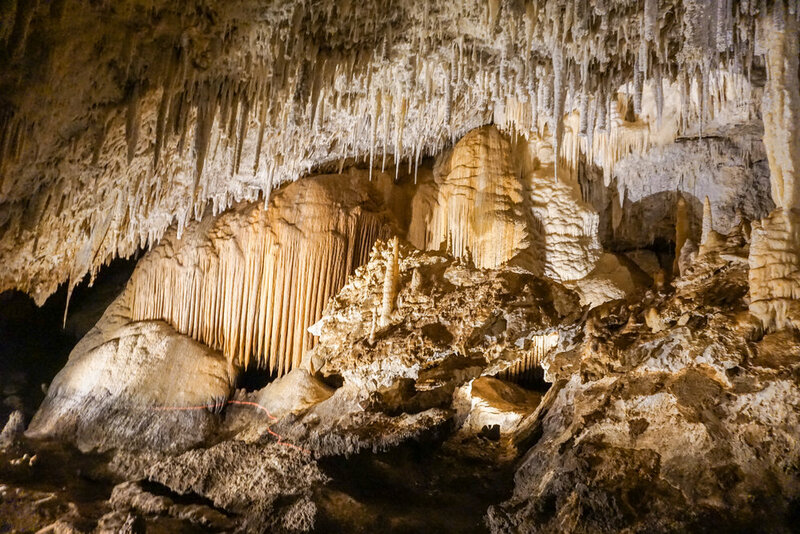 Jewel Cave is almost 1 million years old but what's so special about this cave is that it was only discovered recently in the late 50s in a surprisingly good condition. 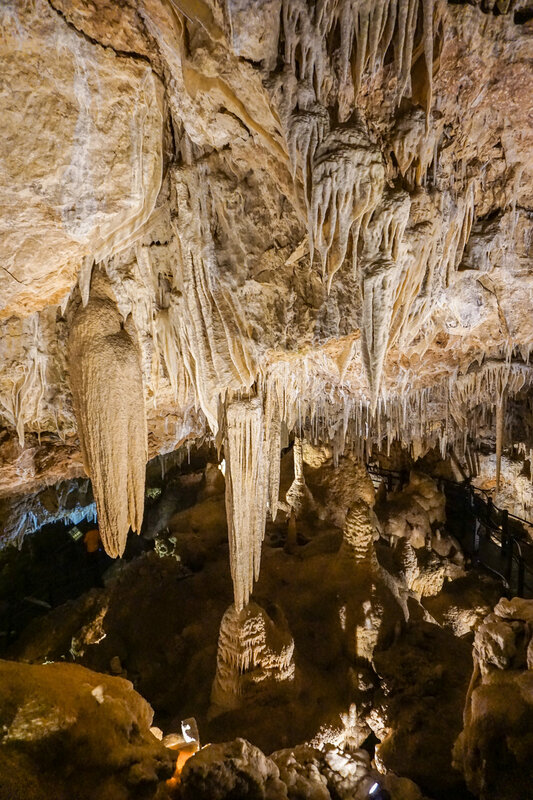 It’s 42m below surface and the exact underground surface has not been measured but it's around 2.5 km long making it the largest show cave in Western Australia. As you walk though you'll see the incredible stalagmites, flowstones and shawls towering above you and the beautiful fine delicate straws. Have you ever visited an underground cave?